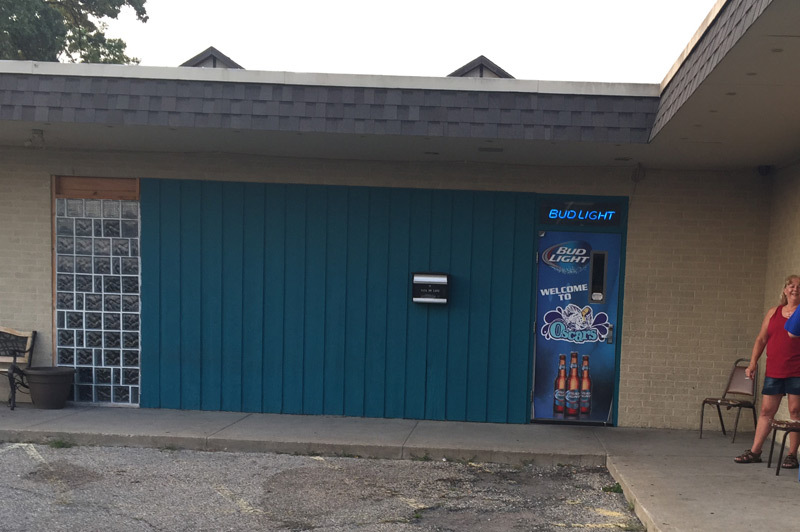 Scooter’s 1117th bar, first visited in 2015. Oscar’s is located in a rather nondescript building, a building shared with a hair salon, in what appears to be a rapidly gentrifying neighborhood. 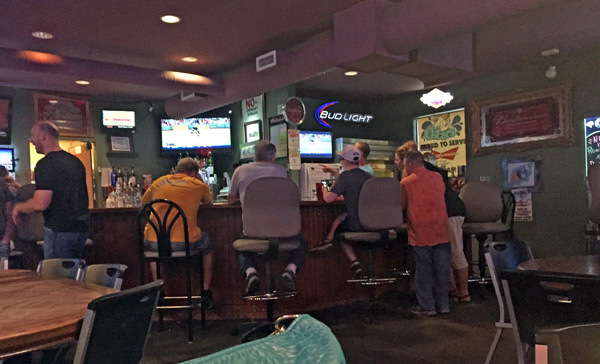 The bar counter is a tiny, angled bar in the front corner. We were lucky to find a table nearby large enough for our group, as it was rather crowded in here tonight. 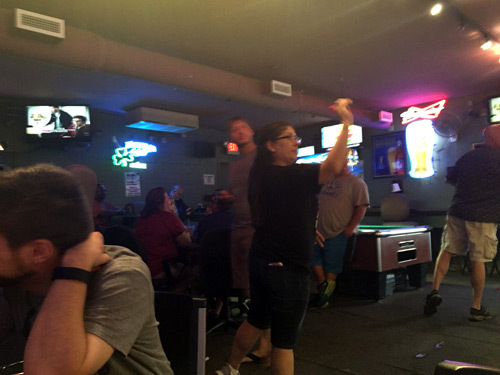 I saw one pool table for sure, I couldn’t tell if there were more due to too many people standing about. Meanwhile, darts were whizzing past the back of my head.